When I was downloading my pictures, I listened to an oldie playlist that my husband once put together for the ballroom dancing club. One of the songs was “springtime in Alaska is 40 below.” Actually, it is not forty below anymore, but it is cold enough to have to bundle up. 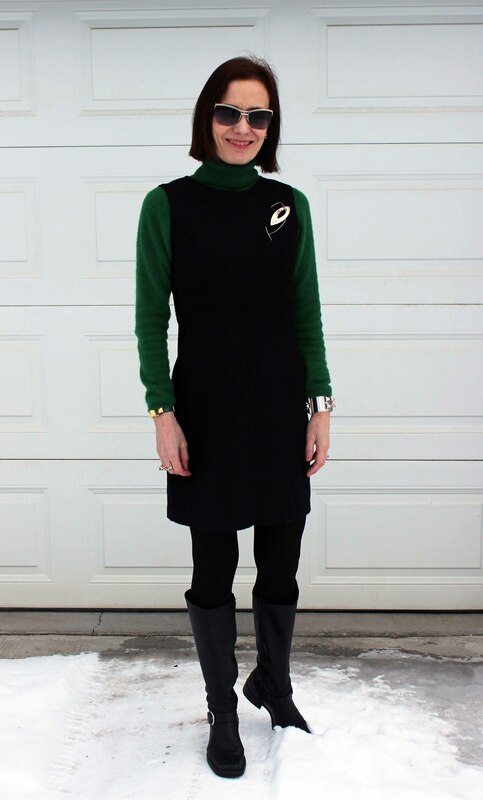 I am wearing my green cashmere turtleneck sweater still over a long-sleeve silk T-shirt under my wool sheath dress. Of course, tights and knee-high boots.